An AgentMate Release occurred on Thursday, March 27th at approximately 2:00 AM ET. This release contained mainly bug fixes. Those who have reported issues resolved by this release will be contacted following post-release testing. A note for eEngagement users: a few modifications have been made to the Recipient List management in the Marketing Details section of AgentMate. The Recipient list will only display 20 records on the first page; this is done to speed the load time of the page; the agent will be able to see the total number of recipients and which ones they are presently viewing. 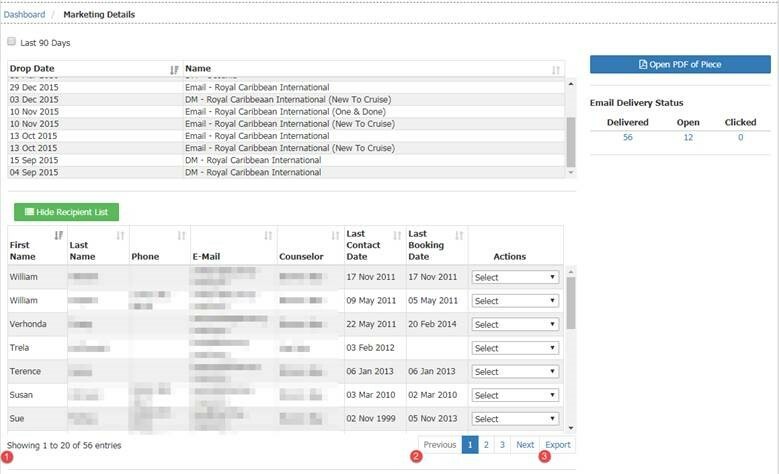 It is possible to navigate to the next set of records using the page numbers or Next/Previous on the bottom of the right of the recipient list section. b. It is also possible save the record as a PDF or export it to Excel.